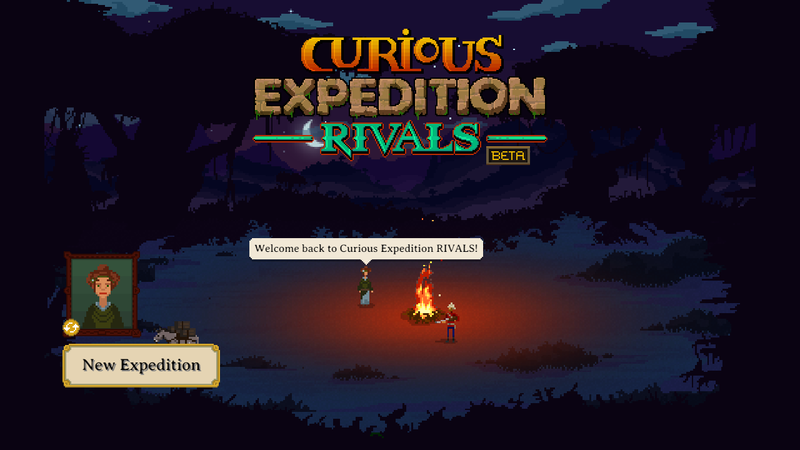 Curious Expedition RIVALS is an experimental new take on a F2P massively multiplayer game. In a constant global struggle players are exploring a shared world to find a single, hidden pyramid. Roguelike elements are mixed with massively multiplayer to create a brand new and punishingly hard gameplay experience. 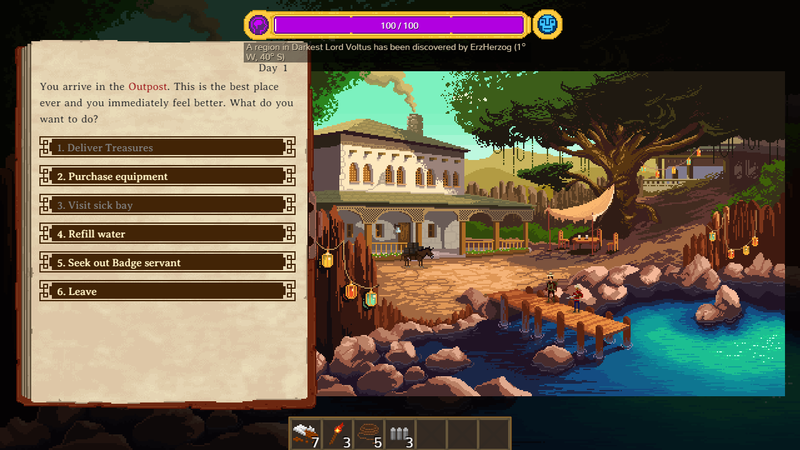 Curious Expedition RIVALS is a new massive multiplayer variant of Rock, Paper Shotgun’s best roguelike of 2016, Curious Expedition. 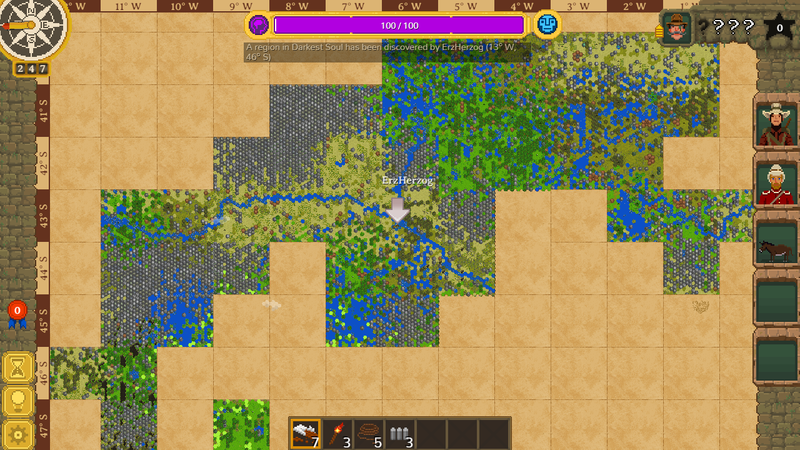 Explore worlds that are up to 10,000 times larger than in the original game. Discover new regions and have your name and portrait remembered for all other players to see. Hidden away in a massive world is a single golden pyramid. Will you be the explorer to discover it first? Acquire prestigious badges with every golden pyramid you discover. 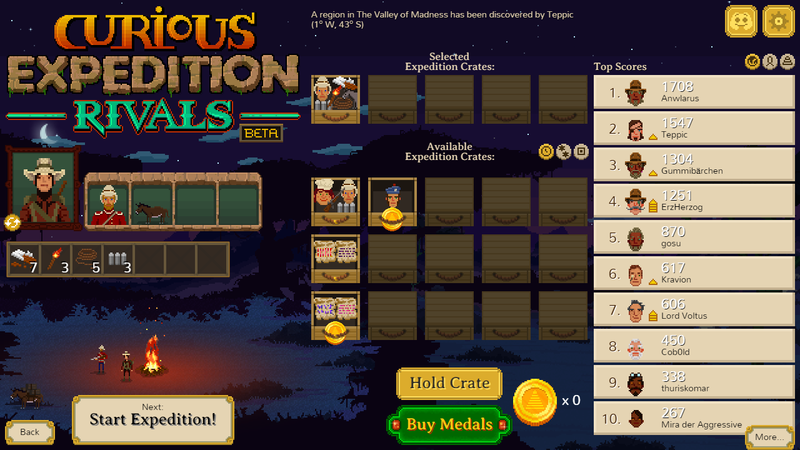 Equip your trek with over 90 Expedition Crates to customize your playstyle and experiment with different strategies. 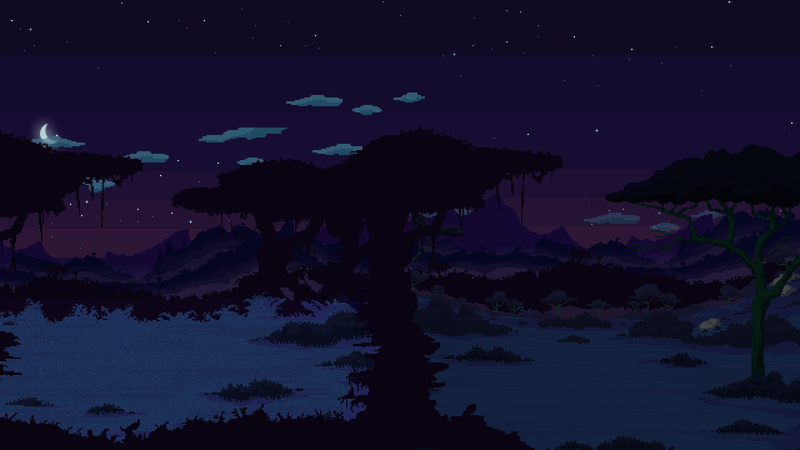 The adventurer who first finds the hidden pyramid will go down in the ongoing history of RIVALS and start the countdown to a completely new, procedural world. 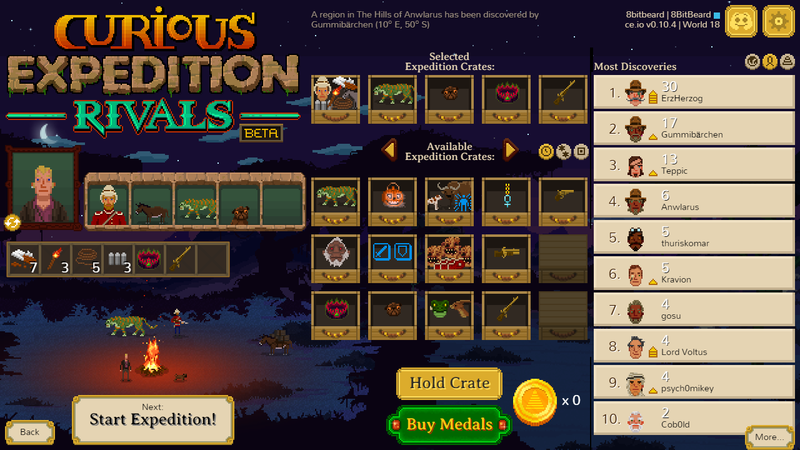 There are currently no logos or icons available for Curious Expedition RIVALS. Check back later for more or contact us for specific requests!